When top executives set out to build well-regarded companies, most start in their home countries. If they’re successful, strong business practices and values they craft there will translate overseas. As companies become more connected and businesses more international, creating a first-class reputation across borders is critical. For some companies, this can be the difference between success and failure. So what is the secret to earning esteem that spans the world? And which companies are best at doing it? Reputation Institute, a global private consulting firm based in New York, uncovered 28 companies that have established international merit. Earlier this year it conducted a survey to assess the strength of the world’s 600 largest companies (by revenue) in their home countries. Then consumers in 24 countries, from Brazil and the U.S. to Spain and South Korea, judged the 54 highest-rated companies, giving them more than 181,000 reputation ratings–from 0 to 100–on their products and services, innovation, workplace, governance, citizenship, financial performance and leadership. Companies at the top of the list all had one thing in common: innovation. Google ( GOOG – news – people ) and Sony ( SNE – news – people ) ranked No. 1 and No. 2, respectively (with scores of 78.62 and 78.47), pulling in consumer admiration for new technologies that touch consumers’ lives. The two companies have a history of producing forward-thinking products that have emotional and rational appeal. Google, along with pulling in $6.7 billion in advertising revenue for the first quarter of 2010 (up 23% from the same time period last year), offers free services, such as e-mail and maps, for anyone to use. Sony, the world’s second-largest consumer electronics maker behind Samsung, has a 54-year history of releasing leading music players and television sets. The two companies recently announced a partnership to launch Internet-connected TVs. Apple ( AAPL – news – people ), IKEA and Intel ( INTC – news – people ), placing sixth, eighth and 10th on the list (with scores of 76.29, 75.60, and 75.39), also won over consumers by making snappy products. Apple, based in Cupertino, Calif., sold 1 million iPad tablet computers in the first 28 days at retail. IKEA, the Swedish furniture retailer operating in 44 countries, has revolutionized home furnishings, making fashionable, affordable furniture available to families across the world. Santa Clara, Calif.-based Intel makes semiconductors to help power cars, computers and even televisions. “Innovation is a powerful tool for reaching consumers,” says Kasper Nielsen, managing partner of Reputation Institute. 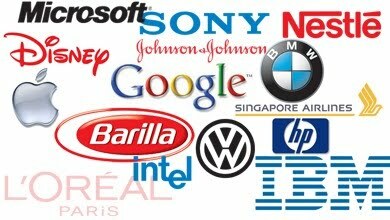 The eighth, ninth, and 25th most reputable companies, BMW, Daimler (Mercedes-Benz) and Ferrero, established their reputations by forming prestige around their brands. Italian chocolate and confection maker Ferrero individually wraps its Ferrero Rocher chocolates in gold wrapping, which gives them an upscale look. BMW and Daimler, both German-owned, manufacture luxury cars and cater to consumers who are looking for top-notch products and services. They tap into car-buyers’ emotions. BMW launched an ad campaign in February, re-branding itself as a company that makes people happy. “What you make people feel is just as important as what you make, we make joy,” one of the company’s ads says. Commitment to citizenship is especially important these days. Microsoft ( MSFT – news – people ) founder Bill Gates established a philanthropic arm, the Bill and Melinda Gates Foundation, in 1994 as a way to improve international health and education. The Redmond, Wash., software giant–once viewed as a monopolistic, monolithic company–is now seen as a charitable, approachable company and ranked No. 11 on the list. French cosmetic maker L’Oreal, No. 16, is also reaping the rewards of its benefit work. The company started in 1998 the L’Oréal-UNESCO Awards for Women in Science, a scholarship fund granting $100,000 to female researchers. Companies with large international operations can thrive. Johnson & Johnson ( JNJ – news – people ), maker of medical devices, consumer products and pharmaceuticals, oversees sales in more than 175 countries. The New Brunswick, N.J., company is the world’s 12th most reputable company. Food maker Nestle ( NSRGY.PK – news – people )’s expansion into South America, where it was listed regionally as the most reputable company, is paying off. The company, based in Vevey, Switzerland, ranked 20th overall. Another important factor in building global reputation is the appearance of transparency, a category won by Google. When the Mountain View, Calif., company pulled out of China to avoid showing censored search results to users there in late March, Google sent a message to the rest of the world that its values would be placed ahead of its profits. The decision resonated strongly in Central and Northern Europe, Central and South America and in North America, where consumers rated the company within the top five most-reputable businesses.